Hope you are all well and if in the UK, keeping warm - hasn't it been cold the last couple of days? Today's project is more simple stamping - I'm really getting into this now - can you tell? But instead of cards today we have gift tags. 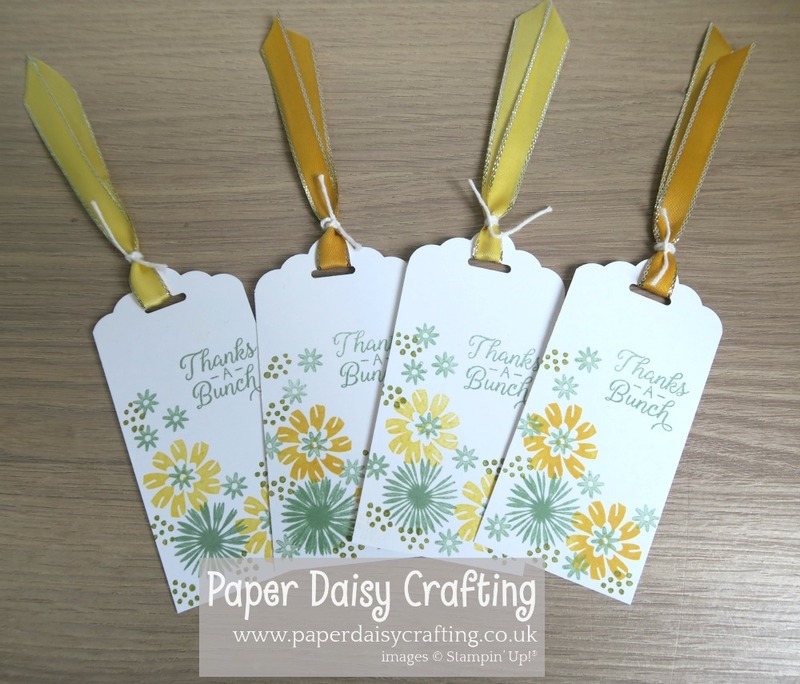 These gift tags are so quick and easy to do and the Scallop Tag Topper punch makes it a breeze to produce professional looking tags for all your gifts. 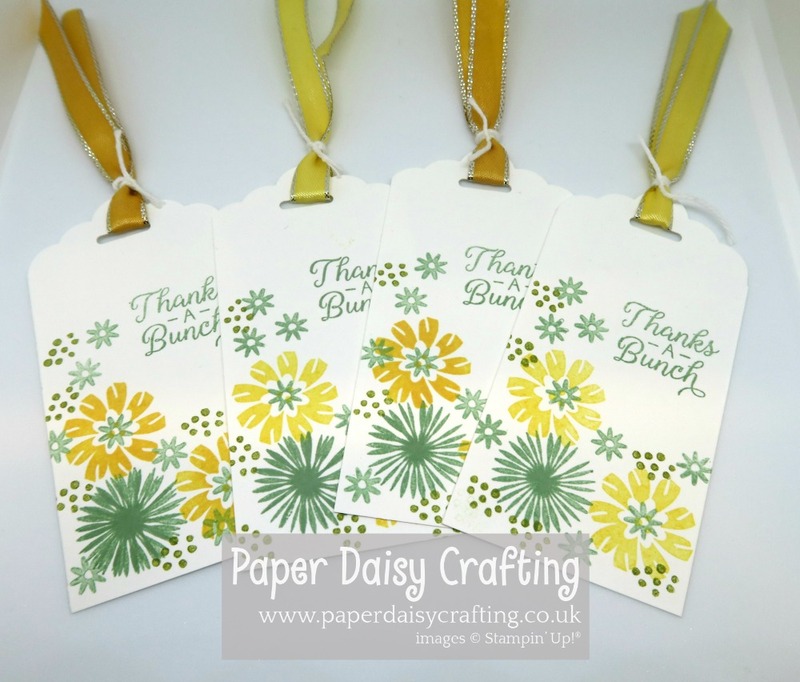 The colours for my tags were used very deliberately as I wanted to participate in one of the challenges over on the Stampin' for All Facebook group - CLICK HERE if you'd like to join our group. 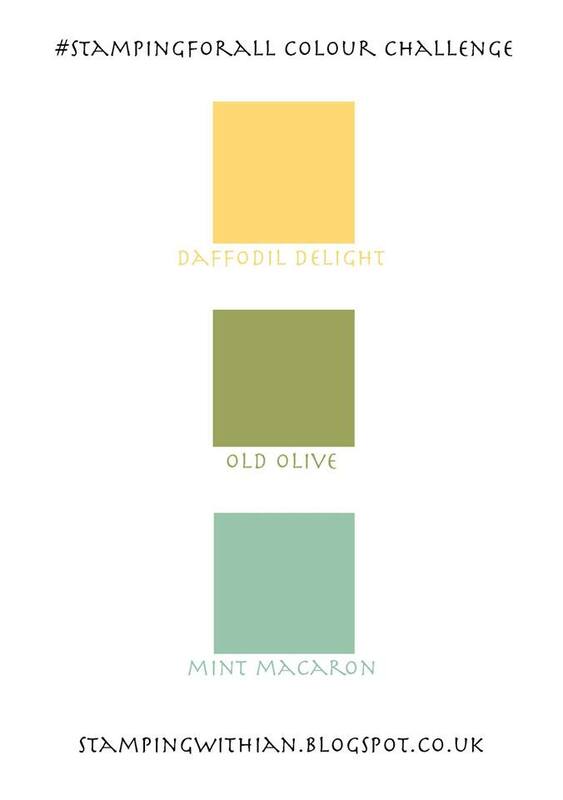 Here is the inspiration for the colour challenge. So those are the three colours I've used on my tags - although in the photos the Mint Macaron and Old Olive look quite similar. 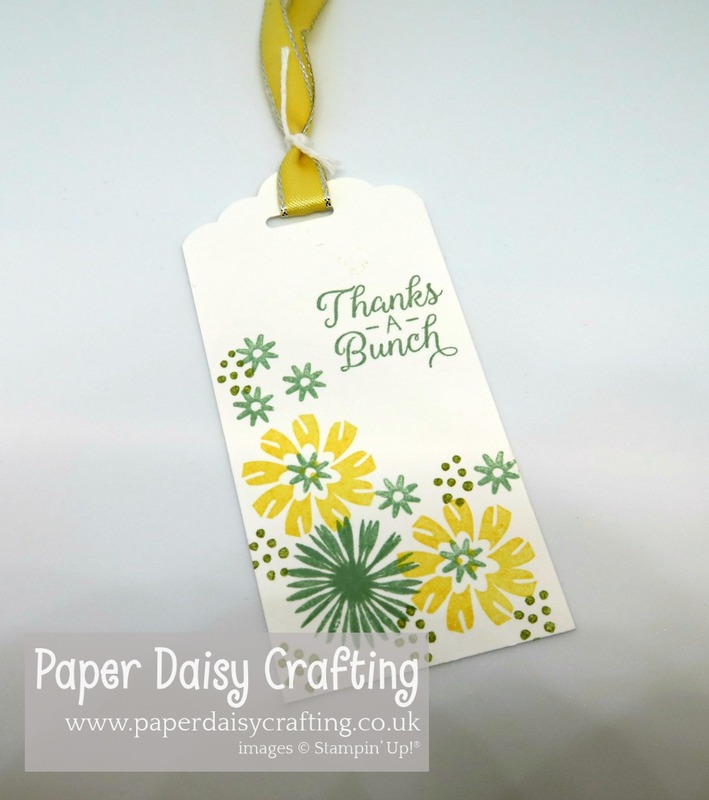 And can you tell which of the tags I made before I re-inked my Daffodil Delight stamp pad? The stamp set I used was Bloom by Bloom (love this set more and more) with a sentiment from Beautiful Bouquet. After I'd made these tags, I experimented with a few other colour schemes - I'll show you those tomorrow.